Crazy English is a fun collection of 25 short texts to help English learners. Updated and improved with a new video feature for every lesson! 25 fun stories about the Crazy English – cheeserolling, pubs, cups of tea and the full English breakfast. Find out about them all and learn English at the same time – you’d be crazy not to! 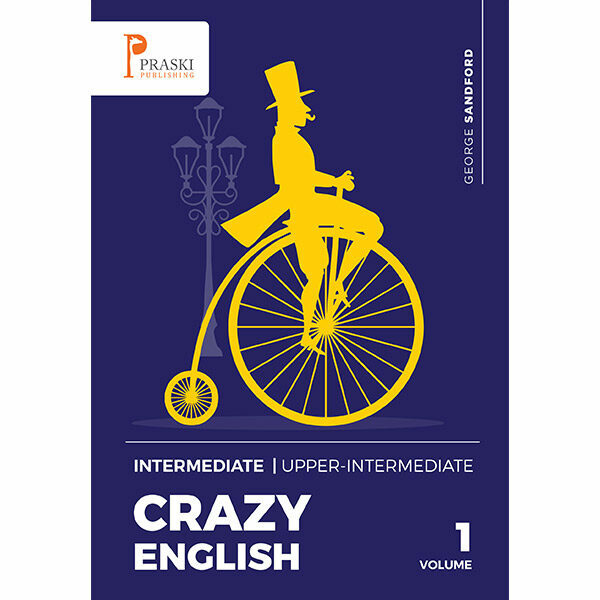 Crazy English is a fun collection of 25 short texts to help English learners, (Intermediate – Upper Intermediate), to find out all about the eccentric aspects of English culture. Enjoy reading about Harrods, the red telephone box, cheese rolling and all the weird and wonderful things that got to make the English so crazy!